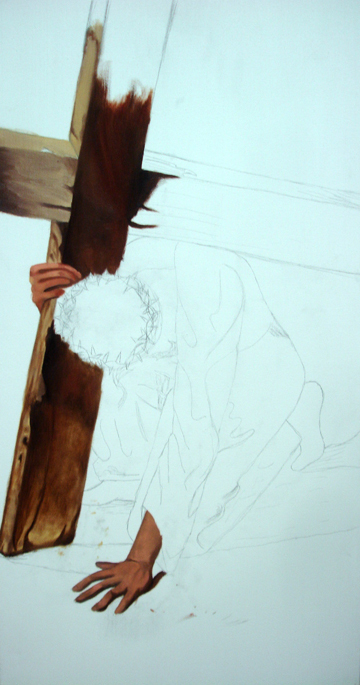 Stations of the Cross In-Progress..
Students in action. 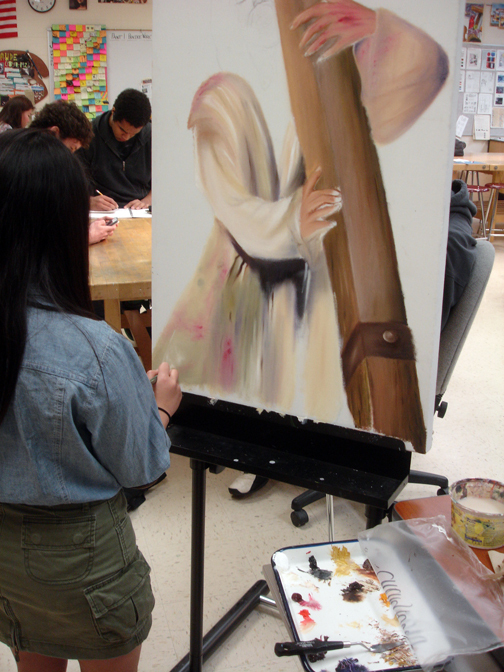 After school painters at work! 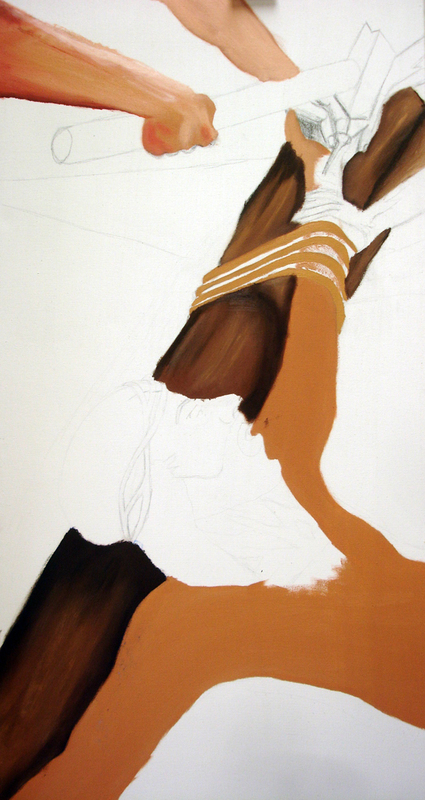 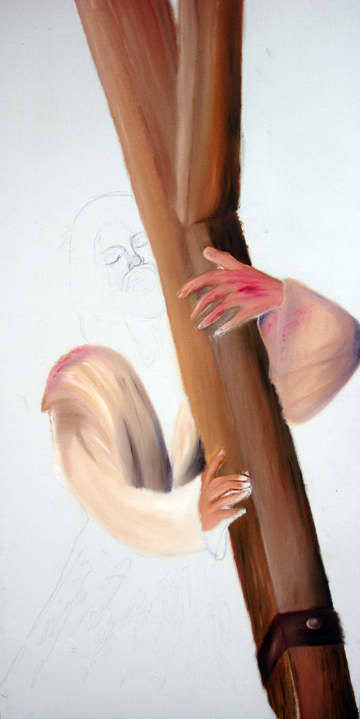 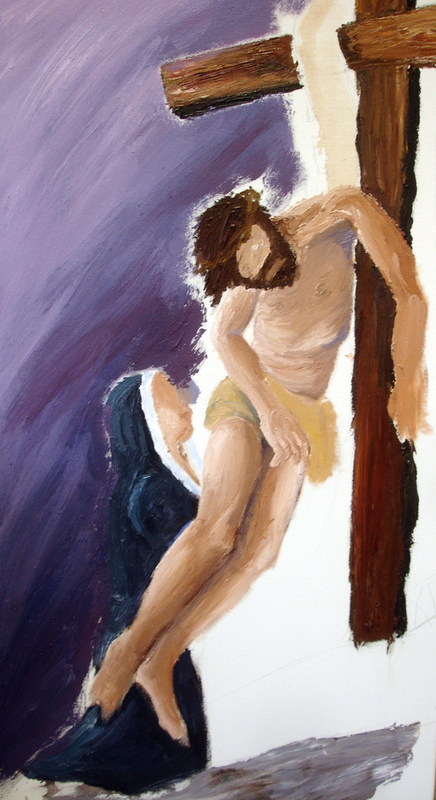 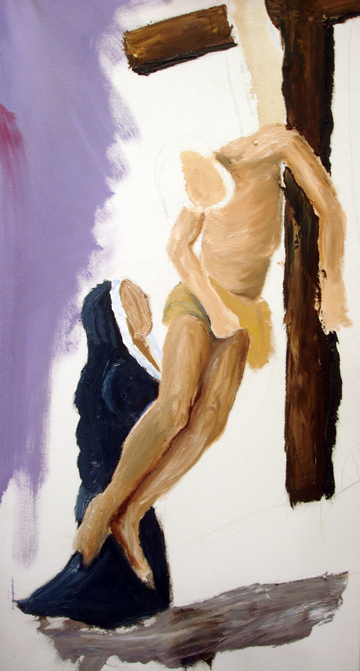 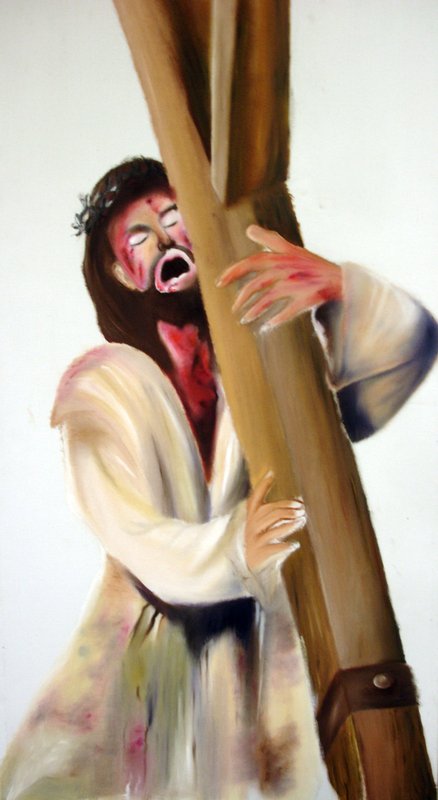 Zion Lutheran Church, 709 6th Street in Wausau, was seeking high school art students to create a series of paintings based on the Stations of the Cross. 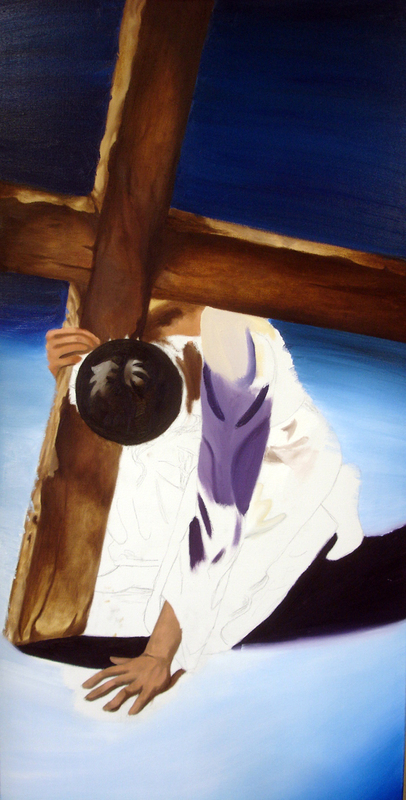 The paintings are to be unveiled during 2014 Easter services and remain on display in the church afterward. 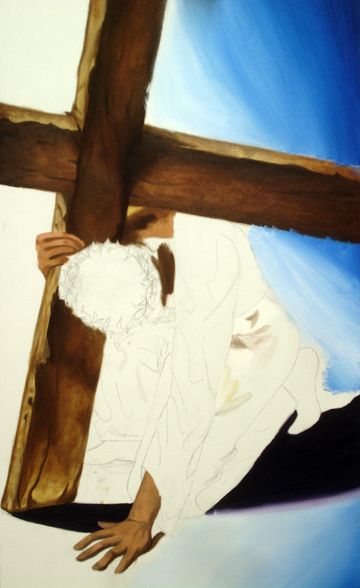 The eight students who volunteered to take on this project have met with Pastor Gjerde of Zion Lutheran to plan and sign contracts of completion and payment. 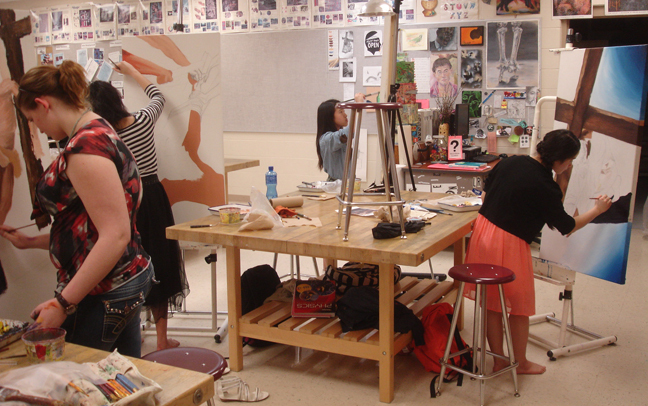 This group has met each week to develop ideas, coordinate compositions, and create a sense of unity throughout their works. 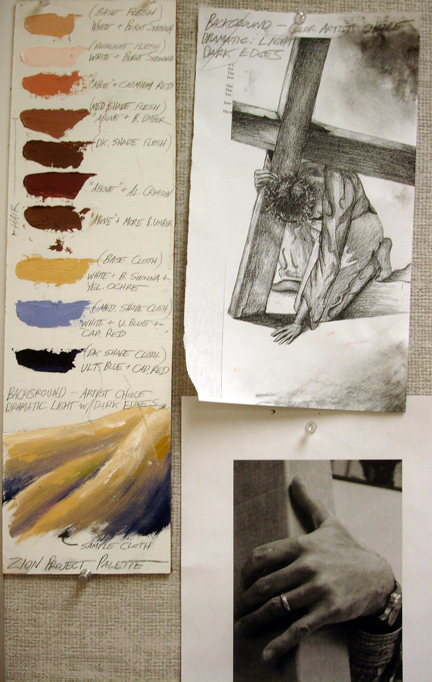 Below are the completed proposal sketches for the eight stations that our students will be eventually painting. 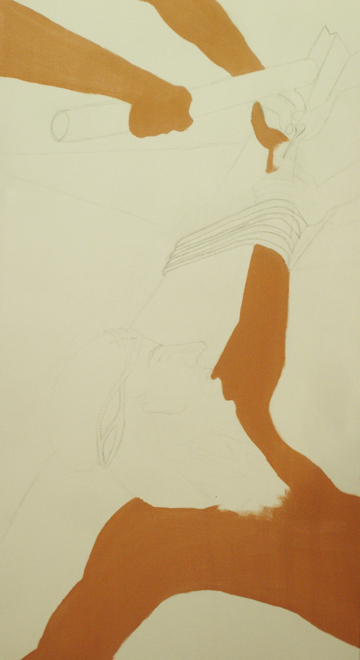 This is a pretty monumental project, but we're off to a good start. 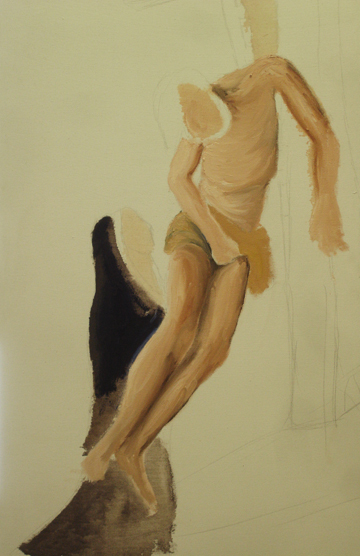 Check back soon to see their progress on the paintings!